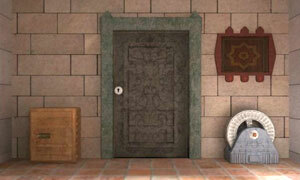 Escape From The Dinosaur is point and click, escape game by flash512. This time you and some friends found a mysterious place. When you were exploring it, you and others got separated in the exploration. And after you entered a temple, the door was close behind you. Now the only thing you can do is to find the hidden tools and use your intelligence to unlock the ancient puzzle to escape out. Good luck and have fun.